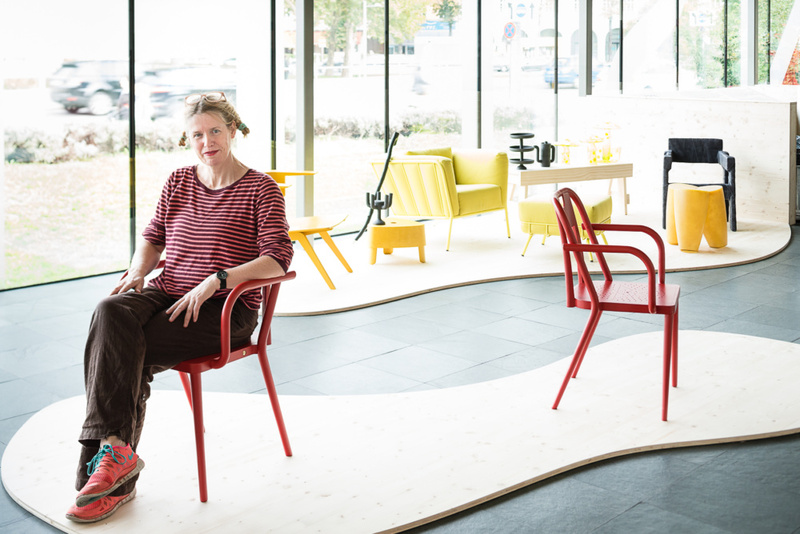 Dutch furniture designer Ineke Hans works from London with her Holland-based studio to lead international manufacturers on projects that explore the future of furniture design. With works in museum collections and participation in furniture fairs and symposiums around the world, she has built a body of work that address global issues in design, the role of the designer, and the role of manufacturing. 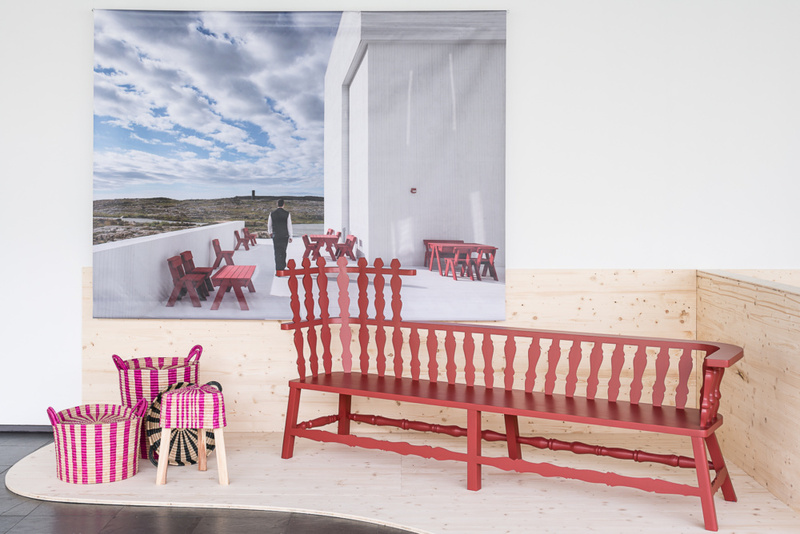 Recently she was asked to collaborate with the Kunsthalle Wien, a Viennese exhibitions space, to design a chair for an exhibit showcasing her recent work. Was ist Loos? [a pun that pairs the German phrase for ‘What is happening?’ with the name of architect Adolf Loos] explores Vienna as a site for design and production shaped by Adolf Loos and the Thonet brothers. The show also addresses broader questions, such as new ways to develop and distribute design concepts. The Architect’s Newspaper spoke with her about conventional and innovative production methods, as well as the regional characteristics of design. The Architect’s Newspaper: What choices did you make to come up with a final chair design that is contemporary, yet inspired by 19th century architecture and design in Vienna? Ineke Hans: A few years before Kunsthalle Vienna invited me for this exhibition, they asked me to think about sitting objects for their public spaces, but I did not have much time then to work on it. This year I decided to go back to their initial request and design a new chair that could also be presented in the exhibition. In reference to the Viennese architect and designer Adolf Loos, who wrote modernist design manifesto Ornament & Crime in 1908, the current exhibition asks where we are in design today. I approached Gebrüder Thonet Vienna because of their history in producing chairs for cultural places in Vienna and their past experience working with designers like Loos, Hans Wagner, and Josef Hoffmann. 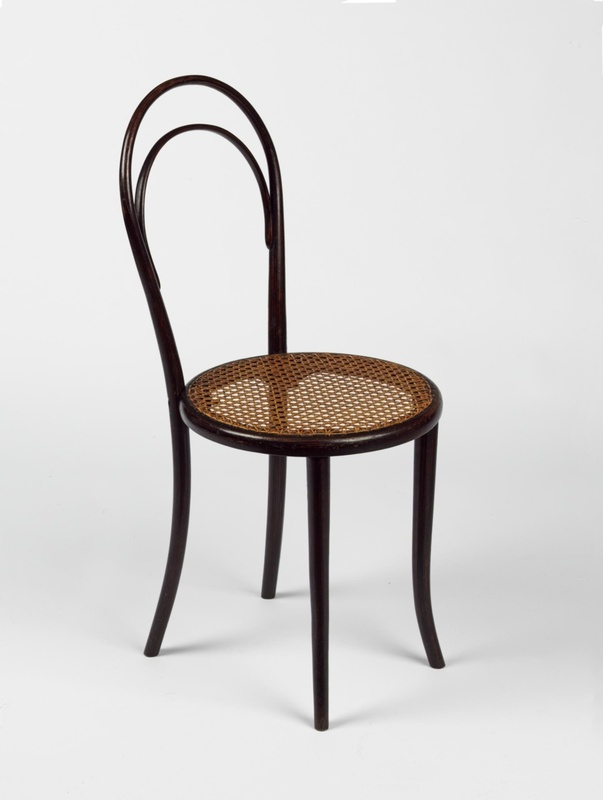 The Thonet wood-bending technique invented a new way to make cheaper mass-produced furniture. Now the wood-bending technique is rather labor intensive. I decided to make a chair typology that fits the historical context with the techniques of our time, specifically CNC routering and laser cutting. What are your favorite design features of this chair? 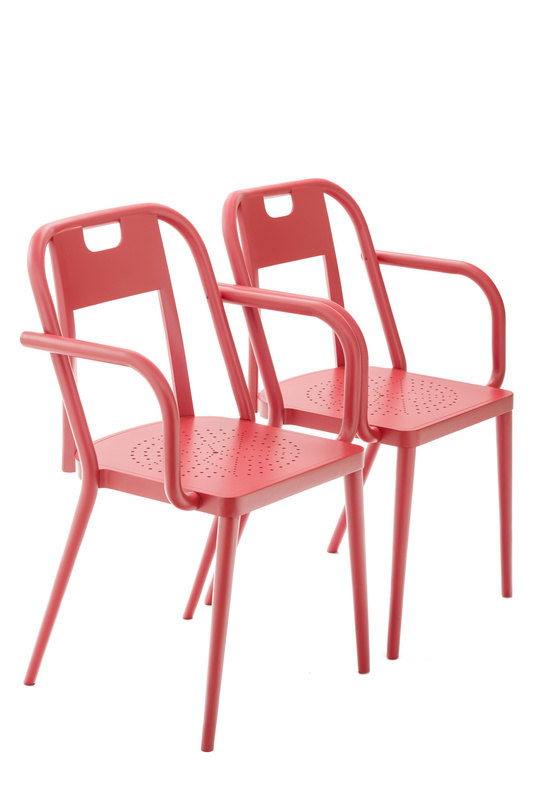 It is a stackable chair and good to place in rows for conferences—because of this, it works very well in contract environments. What obstacles, if any, were there in the design process? The prototyping was – as often in these cases – very last-minute. It all worked out very well and the models show the wonderful quality of Thonet manufacturing. In your opinion, how does your chair consider the role of manufacturing, both physically (in comparison to the other objects) and historically? Thonet was the first mass producer of furniture in the world, using a technology that speeded up making chairs in a semi-industrial way, offering affordable furniture. That process has become rather labor-intensive compared with furniture production in over the last century. With possibilities to combine digital production and handwork, it is interesting to look at some other aspects that are valuable for design today. They could fit 36 pieces of disassembled Thonet No 14s (and the screws needed to build them to be packed into a box measuring) in one cubic meter. This emancipated worldwide shipping (marking the beginnings of flat-pack furniture), becoming available in the U.S. to immigrants who arrived with big families and were in need of affordable furniture. Hundred of years later, IKEA started to flatpack. Today you could say we are at ‘flatpack 3.0.’ With online sales and distribution of furniture, that means people expect 3-seat sofas to arrive at their homes through their letterbox. 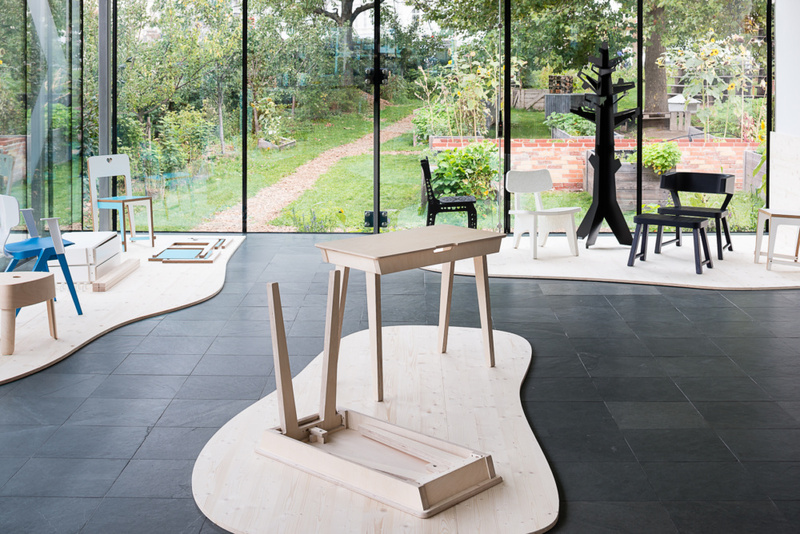 Flatpack is not an issue in this chair, the design is made with open source platform Opendesk. Nowadays, we have to think about production and materials of new items we design for the world, but also the meaning of things and how they relate to each other. 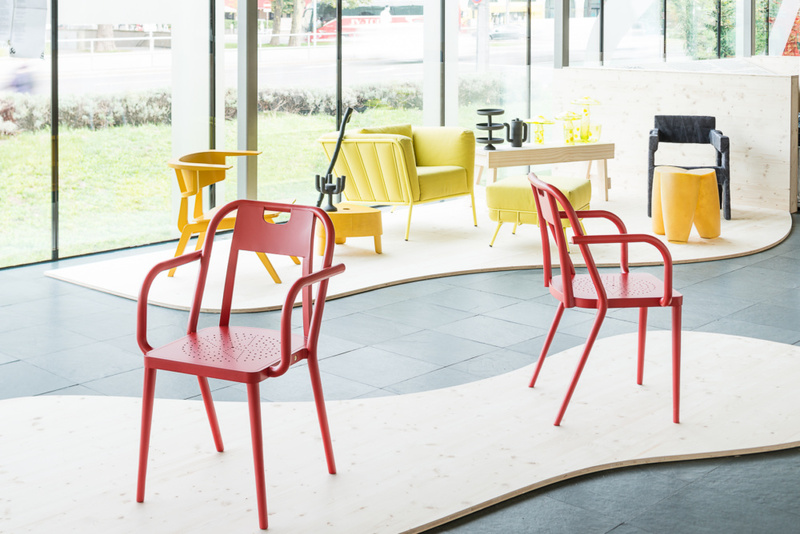 The KHW chair is a new chair embedded in the rich historical design history of Vienna. Ineke Hans: Was ist Loos? is on view at the Kunsthalle Wien in Viena through December 11.